Based on the Decree of the General Director of Strengthening the Research and Development, Ministry of Research, Technology and Higher Education of the Republic of Indonesia No. 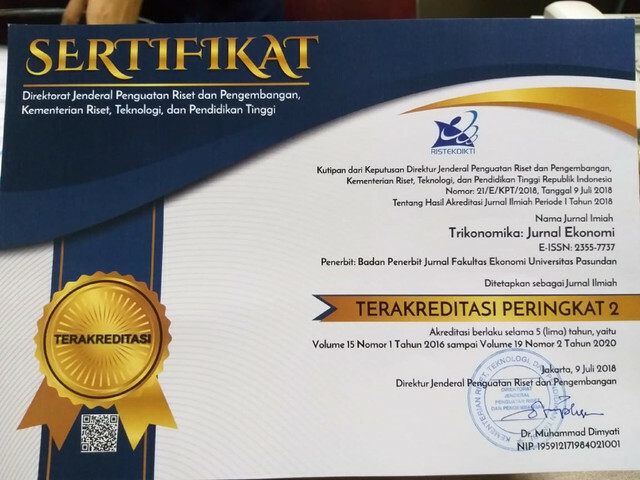 21 / E / KPT/ 2018, Trikonomika was declared as an Accredited Scientific Journal with category “Sinta 2” from Vol. 15 No. 1 June 2016 - Vol. 19 No. 2 December 2020.